This half day Stress Management training course is delivered in-house for organisations in or around Melbourne. The course will enable your staff to gain a range of practical stress management ideas and techniques for building a greater sense of well-being and resilience. Unrelenting workplace demands are creating stress for many of us . It is crucial to be able to develop positive routines that build resilience, so as to withstand workplace pressures and continue to deliver good results. All of this is central to maintaining a healthy sense of balance – to the long term benefit of individual employees and consequently, productivity within the organisation. 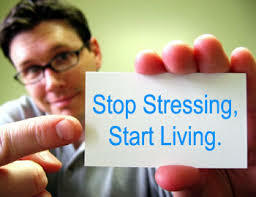 Our stress management course is highly interactive and your staff will explore …. This training is offered in-company and can be further tailored to meet your requirements. Executive coaching is also available to support your key people and help them to develop their own stress management strategies and skills for promoting increased well-being. Brian Carroll is the course facilitator. He is a qualified Melbourne based psychologist and also a very experienced trainer, who delivers the training in a highly engaging and stimulating way. As a registered psychologist, he brings to the training experience a deep understanding of the dynamics of stress and personal change.